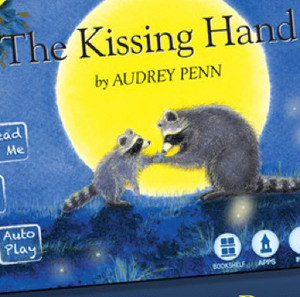 The beloved bestselling book for children 3 through 8, The Kissing Hand, is now available as an app. What's more, publisher, Tanglewood Press is donating 1,600 copies of the physical book to the children of Newtown, Connecticut in support of the tragedy. The app version is also available for a limited time for free on the iTunes store, too. The sweet, comforting tale recounts little Chester Racoon’s first day of school. To ease his fears, Mother Racoon shares a family secret called The Kissing Hand. The app lets parents record their own voice to play back in Read to Me mode. There’s also a Read to Myself setting in which words highlight and play when touched. An Auto Play setting for smaller kids reads and turns pages automatically. This is a lovely story for families with younger kids, and particularly touching in light of recent, heartbreaking events.